What’s behind the mysterious closed door, you may ask yourself when entering a house you don’t know. Well, in most cases, it’s just what you’d expect – nothing out of the ordinary, just another room. But here, hidden panels, false walls – and even a trapdoor – open up to reveal some surprising secrets. Let these examples give you ideas about the things you could hide behind a door in your own home. Too many clothes and not enough space to store them? Rather than trying to cram another wardrobe into the bedroom, think creatively about where in your home some extra storage could be created. 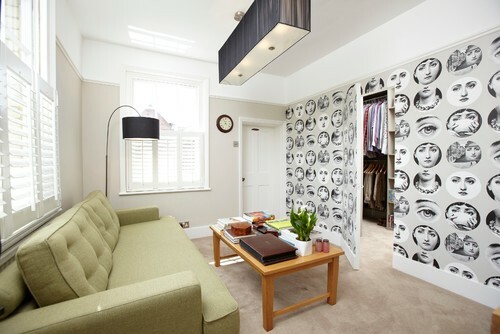 In this Victorian terrace, a slice of the living room has been converted into a walk-in cupboard, concealed behind a false wall with a wallpapered ‘invisible’ door. 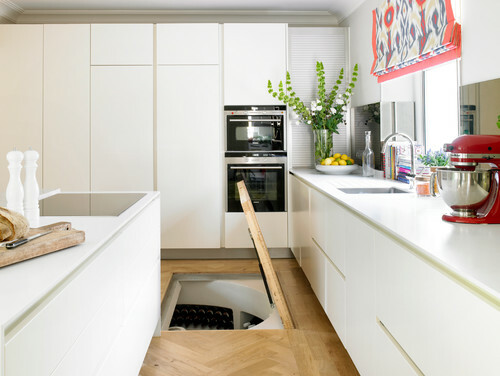 How about accessing any cellar space beneath your home via a trap door? This one leads to an all-singing, all-dancing wine cellar, but steps down to a laundry room, bike storage or even a games room could all work. Matching the door to the floor gives a seamless finish, keeping the secret of what lies beneath. 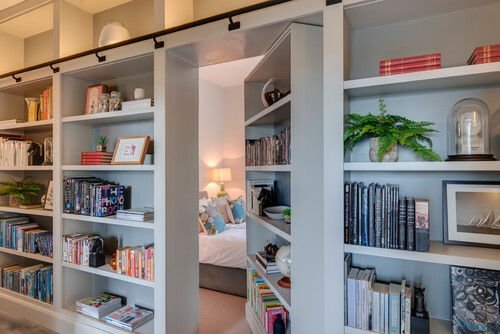 This is the modern equivalent of a Scooby-Doo-style trick bookcase: a restful bedroom is concealed behind a wall of books, with a hinged section opening up to reveal what’s behind. A design like this provides valuable extra shelf space that would otherwise be lost to a door, and would also work well as a way of creating separate zones in a broken-plan space. 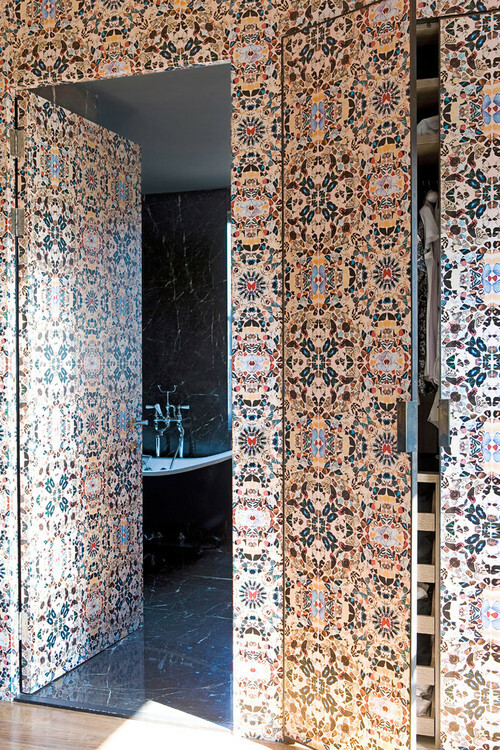 For maximum impact in a boldly decorated room, be inspired by this en suite bathroom and conceal the doors by covering them all with the same pattern. 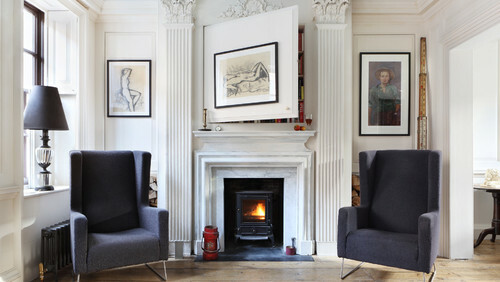 This means the flow of the design is not interrupted by plain doors, frames or even skirting board. Washing machines and tumble dryers are essentials in most kitchens, but they don’t exactly get the heart racing on the looks front. 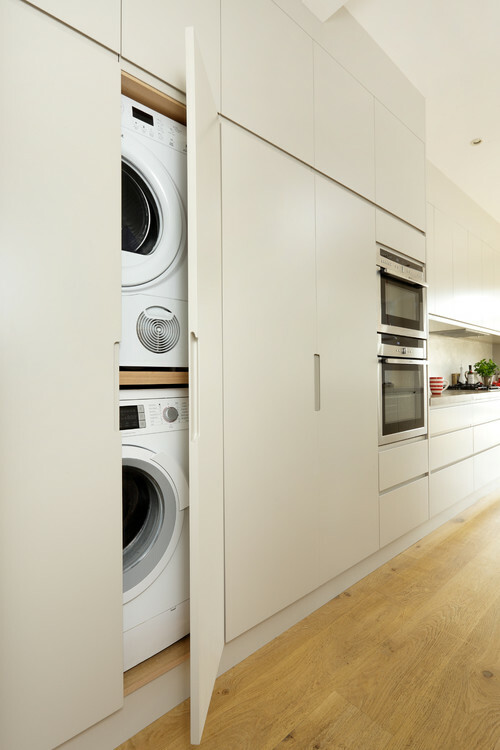 Stacking and tucking them away behind a matching kitchen cupboard door keeps them out of sight – especially useful in an open-plan cookspace where you want to create more of a living room feel. Not many of us have the luxury of a home office, but with more and more people working from home, it makes sense to have a designated work area. 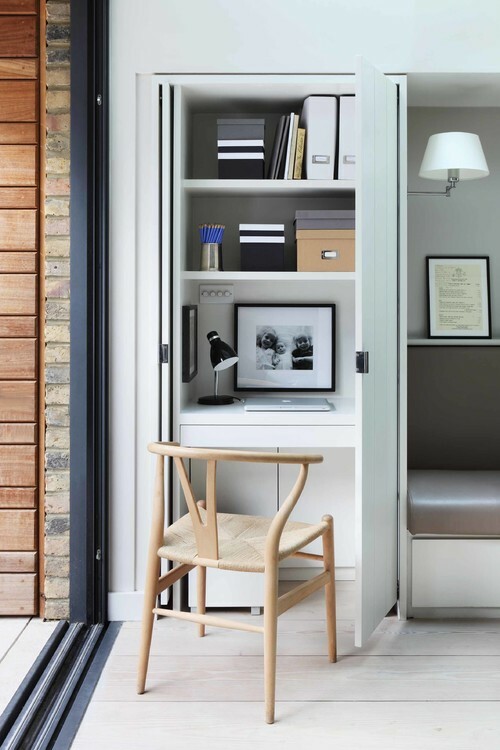 If you’re fed up of laptop, chargers, papers and printer all vying for space with the plates on the kitchen table, how about trying to incorporate something like this office-in-a-cupboard? It can be tucked behind the door at the end of the working day so it looks neat and tidy. Plus, the hideaway design means work isn’t (literally) staring you in the face each time you try to switch off.